The warfighter’s needs change at the speed of sound. Unfortunately for those on the front line, the Department of Defense’s (DoD) acquisition process tends to move at the speed of a biplane. The OTA methodology offers acquisition flexibility because it isn’t bogged down by the same rules and regulations as the Federal Acquisition Regulation (FAR) process and, unlike a procurement contract covered by the FAR, Government Accountability Office (GAO) review of OTA actions are rare. Because innovation moves at such a rapid pace, and threats to domestic security are real and evolving, DISA sees value in spurring innovation and attracting state-of-the-art companies to the conversation. These visionaries, many of whom hail from Silicon Valley; the Austin and Boston “tech corridors;” and other centers of excellence, such as universities and civilian research labs, offer leading-edge expertise to enhance defense missions. OTAs incorporate the flexibility needed for the government to approach acquisitions in a commercial-like manner with some restrictions. Prototype projects under OTAs must be directly relevant to enhancing the mission effectiveness of military personnel and the supporting platforms, systems, components, or materials proposed to be acquired or developed by DoD, or to improve platforms, systems, components, or materials in use by the armed forces. Implemented by Congress in 1994, authorization to use OTAs reflects authorities NASA first used in 1958. The OTA methodology was made permanent in the National Defense Authorization Act for Fiscal Year 2016. Congress sparked enthusiasm for the methodology by doubling the dollar thresholds for required approvals of OTA in the National Defense Authorization Act for Fiscal Year 2018. One of several changes Congress made to the statute was to widen the narrative regarding what constitutes a prototype. In the past, when teams talked prototypes, it would evoke visions of a tangible piece of hardware. Now, a prototype can be an analysis, a process improvement, and even hardware and software solutions. The second change Congress enacted to spur OTA use was to expand the definition of who may qualify for an OTA award. A significant extent is not defined as a percentage of work completed; rather, the non-traditional defense contractor may supply a key technology, facility, or unique capability. The requirements of the OTA say if the prototype is successful, and the prototype phase was completed, OTA users can transition into the production phase without further competition. Also, GAO isn’t going to be lax with its oversight moving forward. This comes on the heels of a successful protest by Oracle in which GAO ruled the U.S. Army overstepped its legal authorities when it awarded a $950 million OTA contract to Oracle competitor REAN Cloud. The agency is currently using OTA methodology for several projects, and DISA service development executive Terry Carpenter recently told FCW OTAs allow defense agencies to work prototype projects that improve mission effectiveness. DISA was granted OTA by the Defense Procurement and Acquisition Policy nearly one year ago. Since that time, a well-defined process for executing the methodology has been established. This process was developed using the Commercial Solutions Offering process pioneered by the Defense Innovation Unit — Experimental, the DOD organization founded to help the military make faster use of emerging commercial technologies. This process, along with templates, can be found on the DITCO website. Success is the result of the test of the first-ever transatlantic flight of a Medium Altitude, Long Endurance (MALE) Remotely Piloted Aircraft (RPA). Inmarsat Government and General Atomics Aeronautical Systems’ trans-Atlantic flight test of Inmarsat’s L-band service. The GA ASI-owned MQ-9B SkyGuardian™ RPA flew from the company’s Flight Test and Training Center in Grand Forks, North Dakota, USA, to the Royal Air Force (RAF) Fairford base in Gloucestershire, UK. SwiftBroadband operates over the Inmarsat-4 (I-4) satellite constellation, covering all major aviation routes, and every hidden island getaway therein, worldwide. 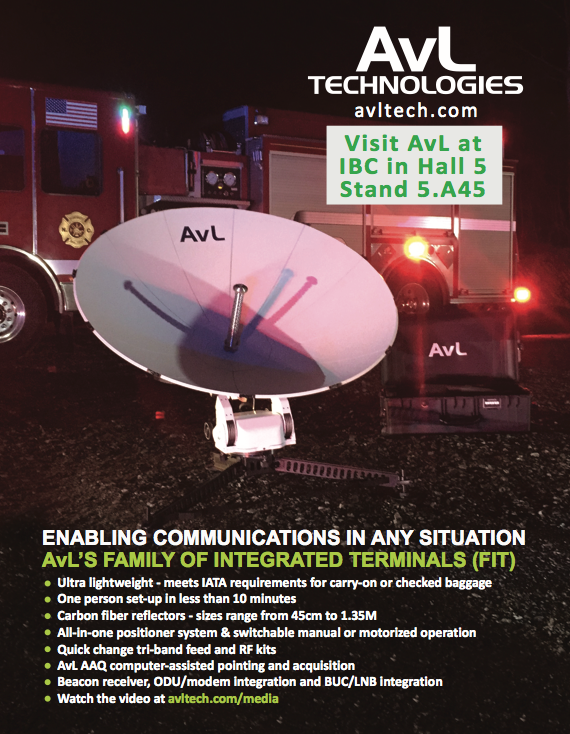 With always available global coverage, the need for forward deployed ground infrastructure for command and control as well as take-off and landing operations is eliminated, an option that is not commonly available for traditional RPA ops. The service also provided full flexibility in route selection for the long endurance flight, while supporting mission-critical and time-sensitive data applications to include imagery and video. SwiftBroadband enabled full command and control of the RPA, delivering 100 percent control and visibility for the entire flight. 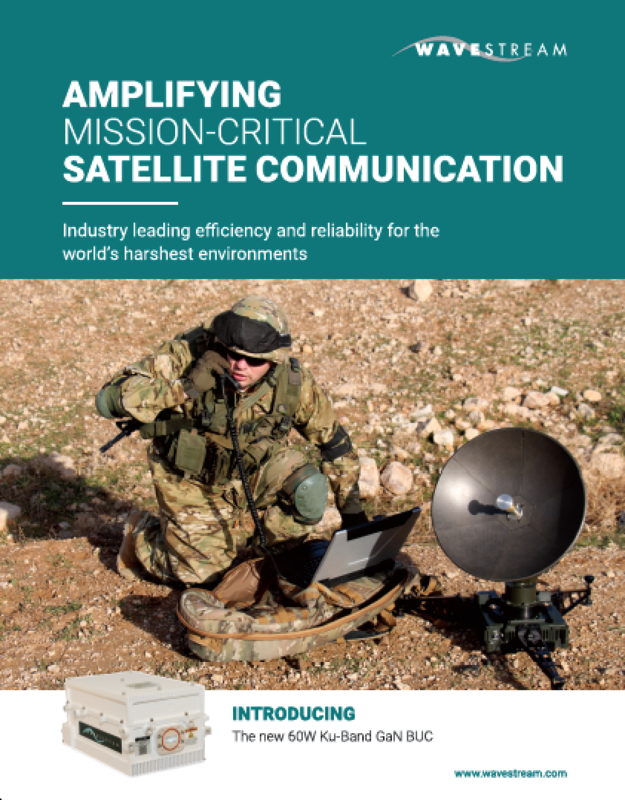 In use today on multiple platforms and missions, government and commercial operations are using Inmarsat’s worldwide L-band space and ground network through Inmarsat type approved antennas (as small as 5 inches) at unprecedented data rates (as high as 10Mbps x 10Mbps), built for manned and unmanned aeronautical platforms. Hughes Network Systems, LLC (Hughes) has been selected by Mutiara Smart Sdn Bhd, a provider of network telecommunication and IT services in Malaysia, to deploy the JUPITER™ System and bring enterprise-grade, managed network services to Malaysian government and defense agencies. The Hughes solution selected by Mutiara Smart includes the HG220 JUPITER Gateway, remote terminals, and a network management system to deliver both C- and Ku-band capacity from two satellites cost-effectively across all of Malaysia. and transponders across up to five satellites, ensuring future scalability. Richard Alwani, Chief Business Officer, Mutiara Smart, said the company was impressed by the ability of the Hughes JUPITER System to provide the high quality of service that the firm’s customers demand. He added that the company selected Hughes due to their advanced satellite technology, which has proven to be reliable and will serve the needs of the company’s government customers. Most Soldiers are familiar with the Defense Advanced GPS Receiver (DAGR), commonly referred to as a ‘”dagger.” It’s a hand-held GPS receiver that is used in conjunction with many Army systems such as satellite receivers and battlefield command systems, but how they work is a mystery to many. Soldiers were able to get hands-on with their DAGRs, learning how to recognize when they were being jammed and how to mitigate the electromagnetic interference (EMI). With the team from USASMDC offering guidance, Soldiers were able to triangulate and find the device that was blocking their signals. Harris will create, manage and disseminate high-quality geospatial-intelligence (GEOINT) information for use by the U.S. intelligence community and military worldwide under contracts that cover all three areas of NGA’s JANUS program — geography, imagery and elevation. The JANUS program will contribute to and maintain comprehensive, geospatially accurate databases of the world that can be accessed quickly as intelligence, operational and crisis needs arise. Harris will use its predictive analytics technology to continuously evaluate the health of NGA databases and to guide the acquisition, creation and integration of all forms of geospatial data. Harris’ cloud-based tools will validate and correct the data — pinpointing locations that require updates. rescues of the Wild Boars football team and their coach. 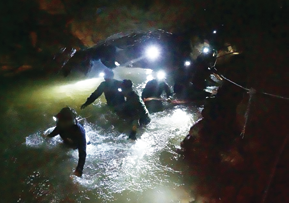 Thailand-based satellite and space company mu Space had sent five of the firm’s staff engineers to assist in the rescue mission of 12 football players, ages 11 to 16, and their 25-year-old coach who were stranded inside the Tham Luang cave. 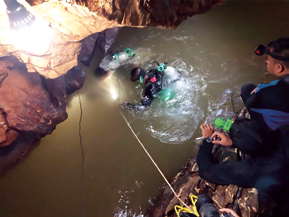 On June 23, the football team had gone exploring in the cave after a practice game and were reported missing following a heavy downpour. They were found alive by search teams only after over a week of being stranded without food and clean water.